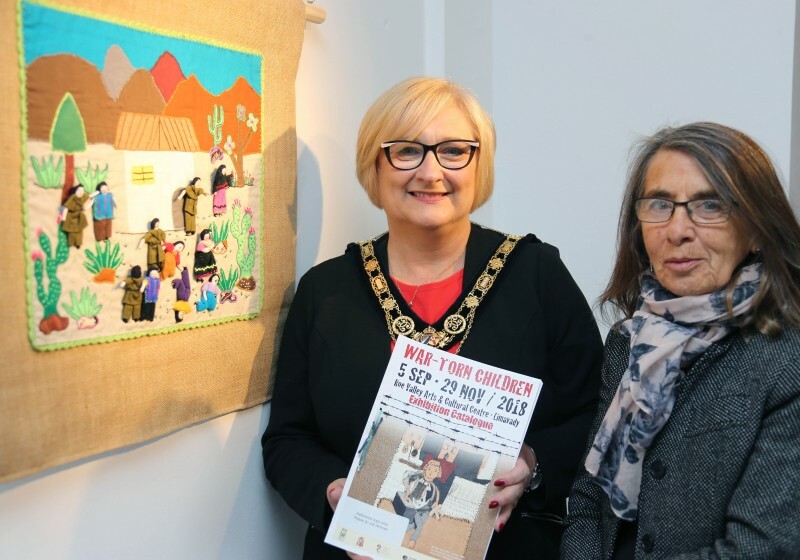 The War-Torn Children exhibition was officially opened by the Mayor of Causeway Coast and Glens Borough Council Councillor Brenda Chivers. 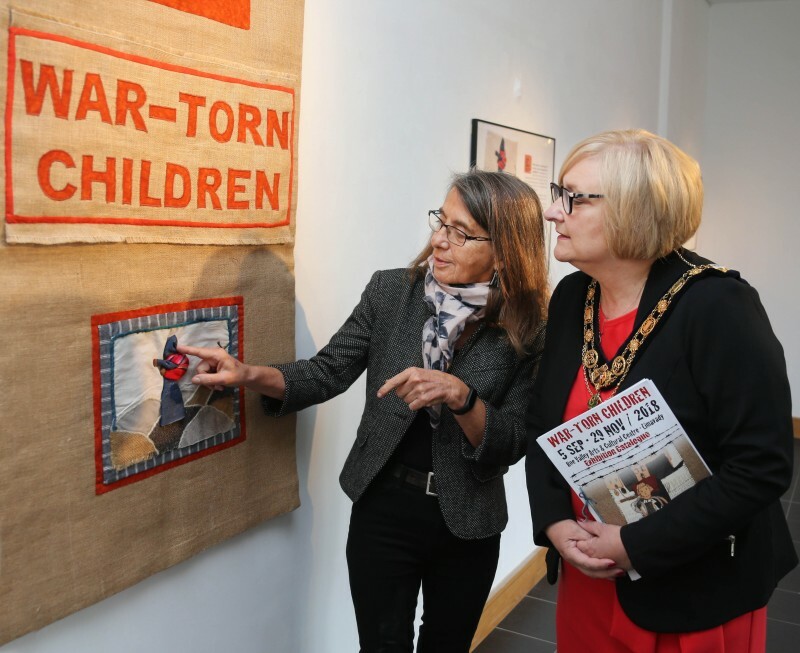 The exhibition, curated by Roberta Bacic of Conflict Textiles, features textiles, photographs and reproduced illustrations. 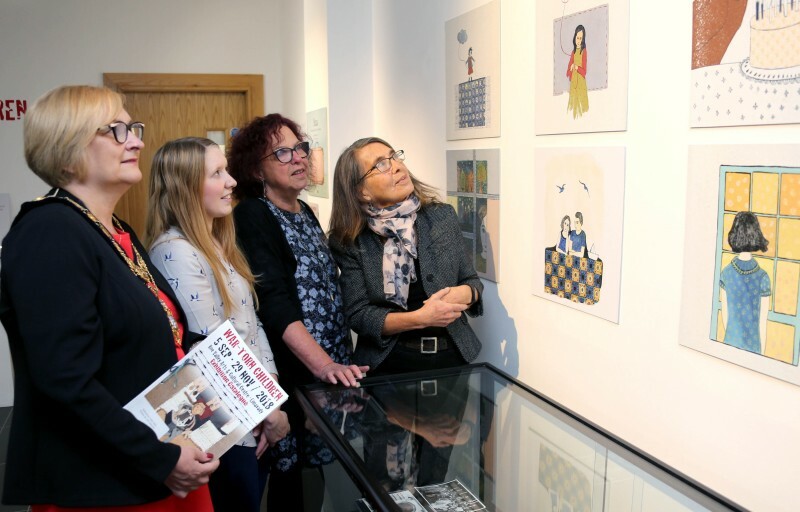 The textiles, including arpilleras and wall hangings, from the Conflict Textiles collection are primarily drawn from South America and Europe. 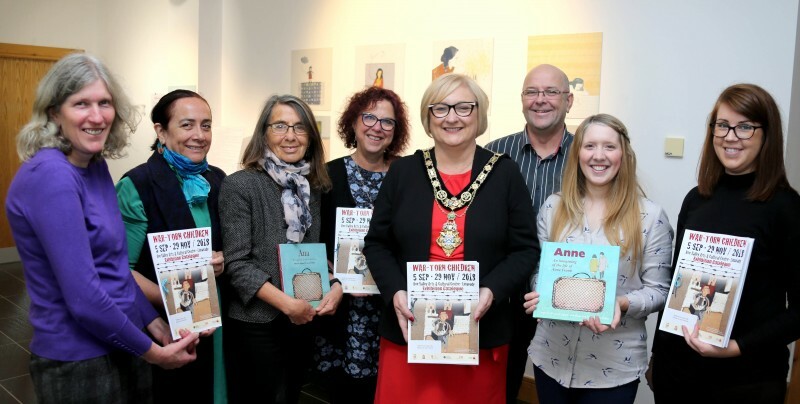 The framed photographs are from Fundació Ateneu Sant Roc (Catalonia) and the reproduced illustrations are from the book “Anne – An imagining of the life of Anne Frank”. 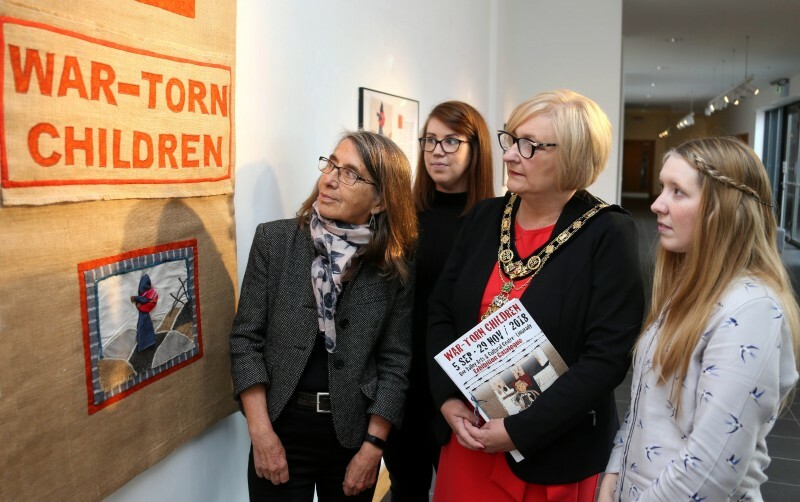 Partners to this initiative are CAIN (Conflict Archive on the INternet) at Ulster University and the Linen Hall Library, Belfast where the exhibition first went on display last year. 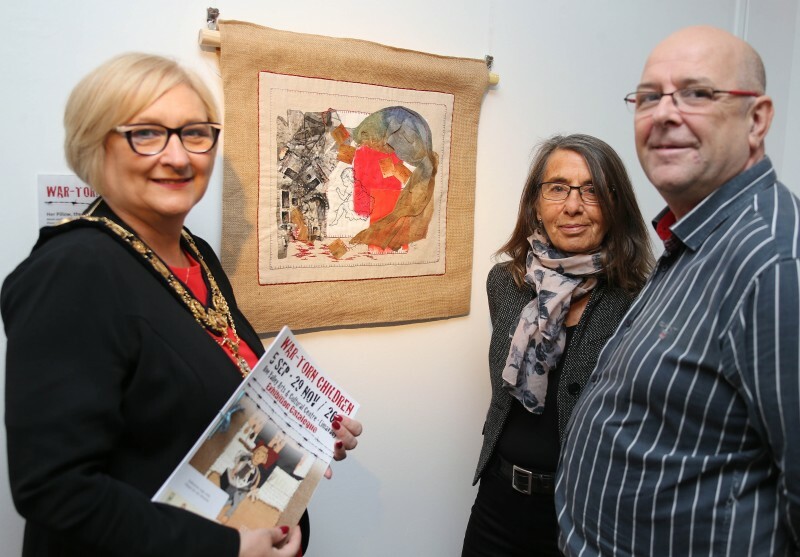 Since then it has traversed the island of Ireland, journeying southwards in the summer to the CB1 Gallery, Limerick before moving to the Verbal Arts Centre, Derry/Londonderry and Letterkenny’s Regional Cultural Centre in County Donegal. 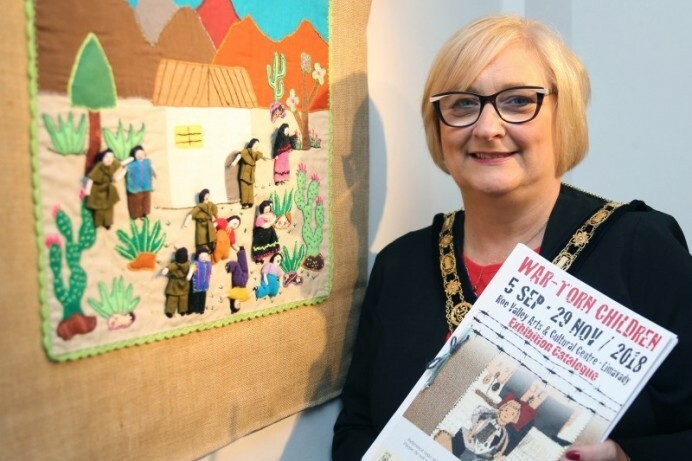 Its visit to Roe Valley Arts & Cultural Centre marks the final stage of its journey this year. 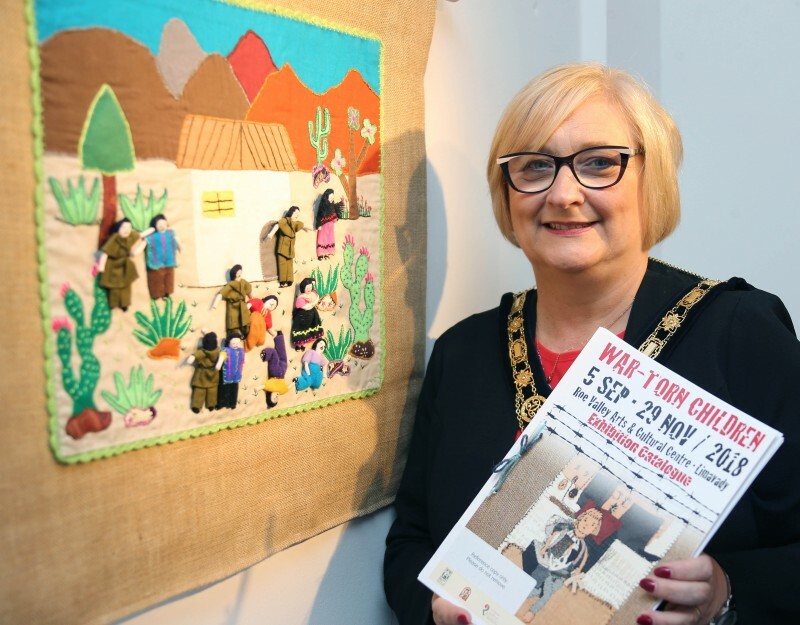 As part of the exhibition programme, Roberta Bacic along with Causeway Coast and Glens Borough Council’s Museum Service are running drop in workshops on Thursday 20th September between 2pm and 5pm and Saturday 24th November between 1pm and 5pm.